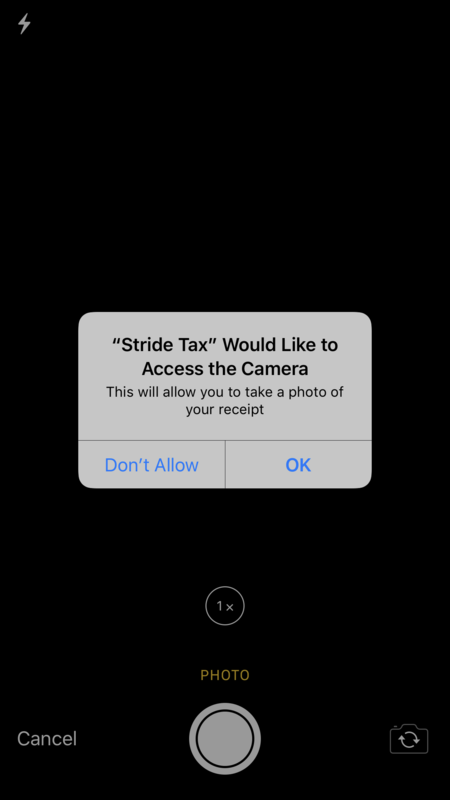 Stride Tax is an app that is popular with Lyft and Uber drivers because it allows users to track their (car) mileage within the app and itemize their business expenses making taxes easier. While it was created with professional car drivers in mind, it has a potential application for professional truck drivers as well. First a note about setting up your account. When you first download the app you will need to select the type of job you have. There is not a perfect match for trucking, but through trial and error we found that the best option is to select Rideshare, Delivery, and Other as job types. This will give you the most categories that apply to your job as a professional driver. Here are a few of the benefits we see in tracking with this app. It would be ideal if we all remembered to save every receipt and track them immediately, but sometimes life happens. 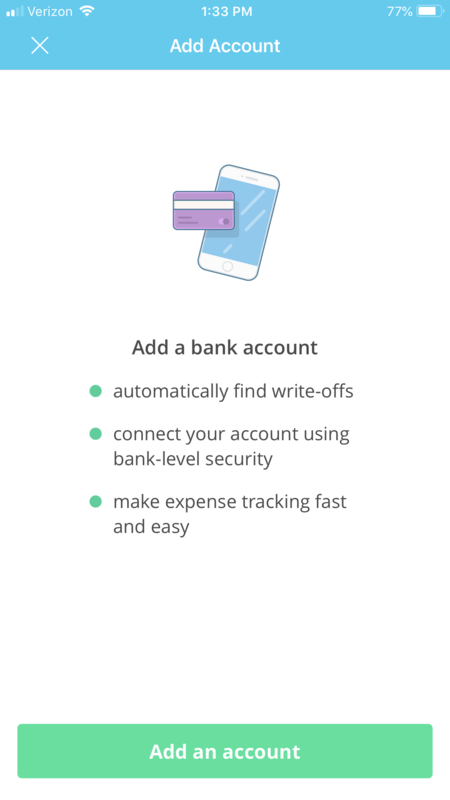 One of the things we like about the Stride Tax app is the ability to connect your bank account to the app so you can easily reconcile your accounts and make sure you are tracking everything exactly. 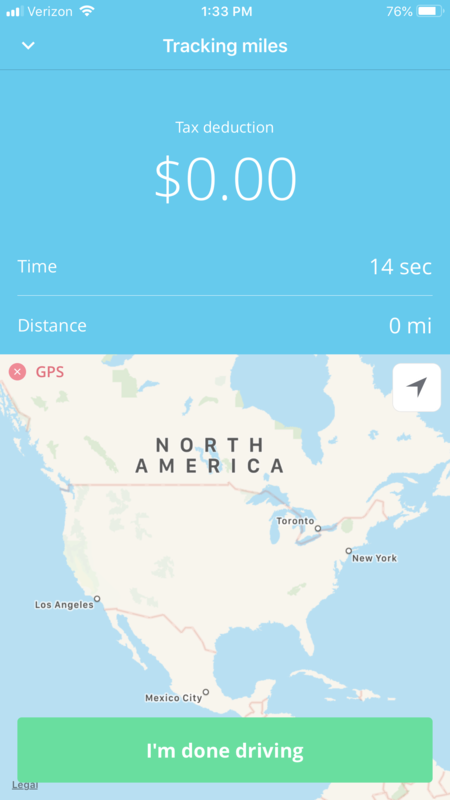 While at first glance this app does allow you to track business miles, it is important to remember that this intended for business car use and is not robust enough to use as a professional trucking mileage tracker. Thankfully (or not so thankfully?) e-logs do a pretty good job tracking this. This category might not apply to you, but if you ever use your personal vehicle to get to and from the truck shop, meetings, or to purchase supplies for the road, you may be able to deduct these expenses on your taxes. You can even track those miles within the app using your phone GPS, if applicable. This app has a category that helps you to track business expenses: software, office supplies, technology expenses, etc. It is all itemized by subcategory, and it will even store a photo of the receipt so you don't have to keep paper files around! You just need to give the app access to your camera. It is easy to get into a rut and forget the little things you pay for every month that support your business. The Stride Tax app helps to remind you of those little expenses that can add up to big savings. With the push of a button you're reminded to track things like cell phone plans, cell phone accessories, music and paid apps, and even dash-cam services right in the app. When it comes time to reconcile your accounts or send paperwork into an accountant, there is an option for downloading your tax information and documentation. With a simple click of the button you can email the records to anyone at any time. 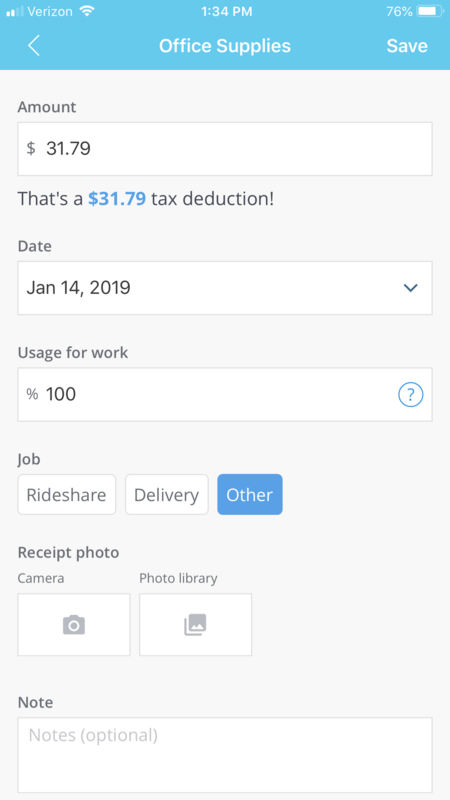 We like that this app has the ability for individuals to quickly see a summary of what they are going to be able to deduct for non-mileage business expenses. We also like that it is available on mobile phones. This makes it much more convenient and easy to track when you have a few minutes of downtime in your cab. The app interface is easy to use and understand, making it quick to get started. It is unfortunate that they haven't developed a category for professional truck drivers, but using several of the other categories in tandem is an acceptable workaround for many drivers. It would also be nice if this app had an automatic integration to other accounting or tracking software such as Quickbooks. Because it isn't built to be robust, it may need to be part of a bigger business tracking arsenal rather than your only software. This app does a lot of the same things that the Quickbooks app does, but it is free. If you are just starting out as an owner operator, or if you are looking for a cheaper option for quickly tracking on the road, this could be a good fit. Download the app in the Apple Store for iPhones, or on Google Play for Android phones. What do you think of this app? Do you think it could be useful in your trucking business? Let us know in the comments below! Thinking about taxes? Learn more about how equipment depreciation has changed.